Handy single serve organic California almond Pocket Snacks are rich tasting, dry roasted, and lightly misted with our finest imported, organic tamari soy sauce. 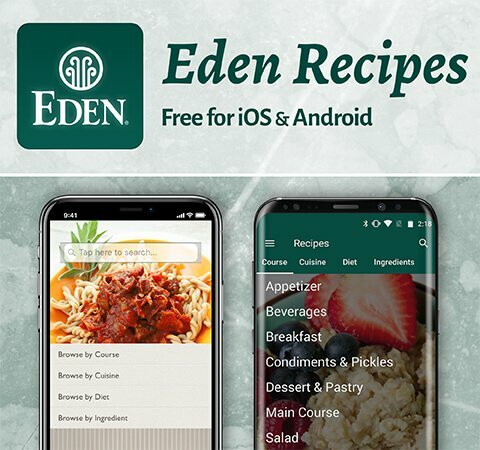 Eden Pocket Snacks are the finest nuts, seeds, and dried fruits that we can find. They go easily to school, work, on errands, camping, and trekking. Keep them in the pantry for delicious, healthy snacking. 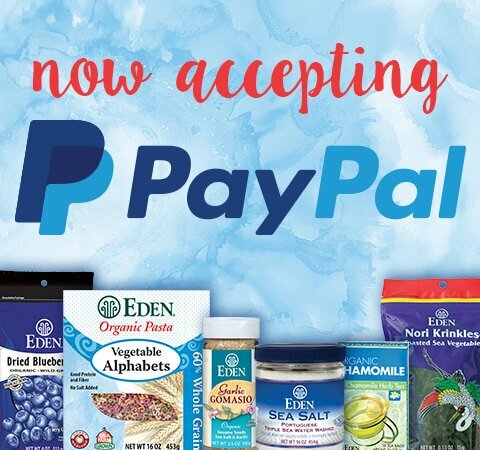 No refined sugars, trans fats, sulfites, or preservatives. Rich in magnesium with 30% Daily Value, cholesterol free, low sodium, and a good source of protein and fiber. Gluten Free and . 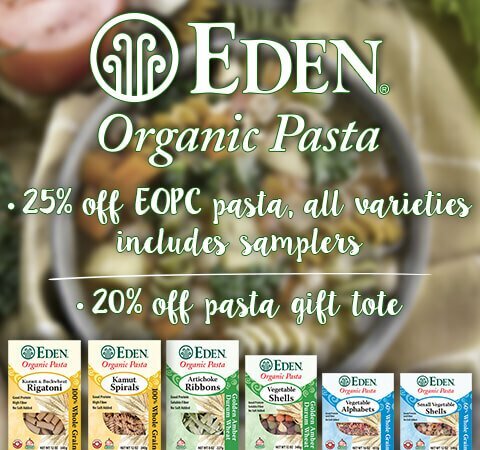 Eden Tamari Almond Pocket Snacks are organic California family farm grown, whole, unprocessed almonds with the skins still on, dry roasted and lightly misted with Eden imported organic tamari soy sauce. 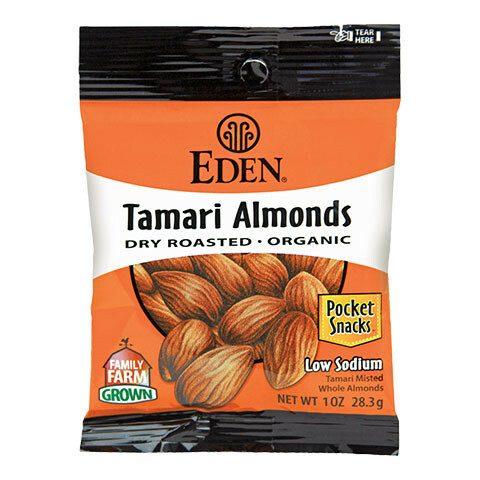 Eden Tamari Almonds are very low sodium with 65mg or 3% DV (Daily Value) per serving. They are an excellent source of magnesium with 30% DV and are a good source of protein and fiber. Organic Eden Tamari Almonds contain no refined sugars, trans fats, or preservatives. There are many health benefits associated with eating almonds. Researchers at Tufts University in Boston found that most of the nutrients in almonds and their skins, when eaten together, may offer a significantly higher amount of protection than when the skin and meat of the almond are not consumed together. Studies at the University of California confirmed this and suggest that there are antioxidant compounds in the almond skin in addition to naturally occurring vitamins that may provide positive health benefits when eaten with the meat of the almond. At Kings College in London research showed that we may actually be getting less fat from almonds than was previously thought. According to the study the cell wall of the almond may play an important role in the way the body absorbs the fat of the almond. Since chewing almonds breaks down the cell wall but at the same time leaves some of the almond intact. Dr. Karen Lapsley, senior nutritionist for the Almond Board of California says, "This is exciting new research. Because some of the almond remained intact not all of the fat was released for digestion. This suggests that almonds may be a lower calorie food than suspected because not all of the calories from fat are absorbed."